Two of the directors of the organisation that sets the standards for new UK homes and provides warranties for buyers cannot be classed as independent because of their links to leading housebuilders, it has emerged. This further calls into question NHBC’s credibility in protecting consumers amid a wave of complaints about the quality of new-build properties. Stewart Baseley and Greg Fitzgerald do not fulfil the test of independence for non-executive directors in the UK corporate governance code, NHBC admits in the small print of its most recent annual report. As well as being on the board of NHBC, Baseley is chairman of its standards committee. Baseley fails the test because he is executive chairman of the Home Builders Federation, the industry trade body, and because he has been a director for more than nine years. Fitzgerald used to be the chairman of Galliford Try, one of the country’s biggest housebuilders. Fitzgerald stepped down from the board of NHBC and Galliford Try last year after the publication of the annual report. However one of his replacements was Stephen Stone, chief executive of Crest Nicholson, another housebuilder, who also fails the independence test on the same basis. NHBC, which claims to have an 80% share of the new-build market, sets quality standards for new homes and provides 10-year warranties to buyers. The warranty is a form of insurance that is supposed to compensate consumer or fix any faults in the new property if there are problems within the first 10 years. However, there are an increasing number of complaints about problems with new homes and the lack of protection and compensation for consumers from NHBC’s warranties. Last month it was revealed that Bovis had paid the purchasers of new homes to move in early only for the buyers to find the property unfinished. The Guardian reported on Monday that NHBC is paying millions of pounds every year to Britain’s leading housebuilders. Campaigners said this shows NHBC is on the side of developers rather than consumers and that there is a potential conflict of interest between returning cash to developers and paying out compensation claims to consumers. The lack of independence of the two directors raises further concerns about the governance of NHBC. The organisation’s board comprises 13 directors, including four executives and nine non-executive directors. 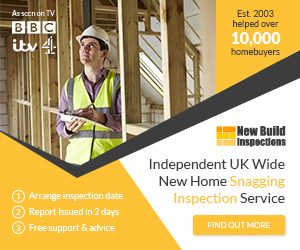 Paula Higgins, co-founder and chief executive of the campaign group HomeOwners Alliance, described NHBC as “too much of a monopoly” in the warranties market and said its relationship with housebuilders was “cosy”. NHBC said it adopts the “highest principles of UK governance”. A spokesperson said: “NHBC adopts the highest principles of UK governance and all our board members are chosen for the contribution and value they can add to NHBC’s purpose. There are clear procedures in place to record declarations of interest and manage potential conflicts. “NHBC’s board comprises 13 members drawn from a diverse range of sectors including the financial services sector, public service and in some cases from the housing sector.